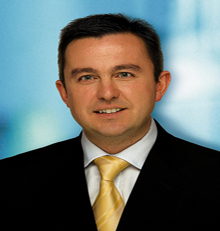 Banks passing on the ECB interest rate reduction to customers is a “very important issue for the government”, according to Minister of State at the Department of Public Expenditure and Reform Brian Hayes. Mr Hayes admitted, however, that it was unlikely that legislation would be introduced to enforce lenders to pass on the interest rate cuts – three more of which are expected between now and next March. The Junior Minister made the remarks while addressing the Seanad this week. Outlining the government’s position on rate reductions, Deputy Hayes said they believed the cuts should be passed on immediately. He said: “Any reduction, however small, is welcome by all mortgage holders but especially by those who are in arrears or who are experiencing difficulty meeting repayments. To that end, the Government wants all lending institutions to pass on the ECB interest rate cut. “The report from the deputy governor was received on Friday last. The deputy governor acknowledges that the Government is not unjustified in having concerns for particular banks regarding the widening of the spreads by which their standard variable rate exceeds their cost of funds and how they are still so far above the prevailing rates of their industry peers. “The essential points which Mr Elderfield makes are as follows. Standard variable rates of mortgage interest from Irish banks reached historically low levels in early 2009 but several forces have contributed to the subsequent increases in such rates. First, the access of the Irish banks to wholesale funding from the market was sharply curtailed, especially from mid 2010, and there was a sharp increase in the interest rate cost of what market funding was secured. “Second, whereas the ECB policy rate is only 0.25% higher now than it was in 2009, the total cost to the banks of some of the sizeable drawings that they have made on Central Bank funding is much higher than the policy rate. Third, the banks appear to have increased – at different times and to different degrees – the spread by which the standard variable rate exceeds their costs of funds. “As Senators are only too well aware, it is the third issue on which the current debate is mainly focused. Mr Elderfield mentioned in his report that a somewhat wider spread of new loans could be rationalised on the basis of the banks’ belated realisation of the credit risk that may be involved in mortgage lending. “He also states that a significant widening of mortgage interest rate spreads has been happening in other countries. An important point which the deputy governor has made is that it is less clear that retroactively applying a risk spread to existing loans is fully consistent with fair practice in view of the fact that in the past standard variable rates have generally moved broadly in line with the cost of funds. “The Minister for Finance has mentioned a number of times in the Dáil in replies to parliamentary questions that neither the Central Bank nor he has a statutory role in the setting of interest rates charged or paid by financial institutions regulated by the Central Bank. This is a commercial decision for the institution concerned. “Each institution determines the rate which it charges or pays depending on a number of factors, such as the cost of funds, competition in the market, risk pricing and the impact of deposit rates. The deputy governor has indicated in his report that the power to exercise close regulatory control over retail interest rates is not sought by the Central Bank at this time. He has outlined the difficulties which could result from Central Bank powers to set interest rates and these views emanate from experience in the past and in other countries. “These include a reduction in the availability of credit, particularly to less secure customers, a chilling effect on entry of sound competition in the market and an impediment to progress towards the re-establishment of bank management practices that could ensure a healthy and free standing banking system that is no long dependent on Government for bail-outs. “Taking into account the advice from the Central Bank, the Minister for Finance has indicated that while the matter will be kept under review, he has no plans to recommend to the Government that legislation in this area should be introduced. In the event that the introduction of legislation is considered, the matter of what interest rates are paid on deposits will also have to be examined, and this particular aspect may not be welcome by depositors and institutions. “I draw attention in particular to the concluding comments of the deputy governor’s letter. He clearly states that the Central Bank’s strategy is to ensure that lenders treat their customers fairly and comply with the bank’s code of conduct on mortgage arrears. “He states that he will take stronger action to resolve the position of customers in unsustainable mortgages while at the same time prudently conserving their capital, which in many cases has been replenished by taxpayers. The Central Bank is requiring mortgage arrears resolution strategies from all lenders by the end of this month. April Budget – What has changed for Investors?